From Gold Key / Whitman from 1975. Chip 'n' Dale help the guy with the big nose. 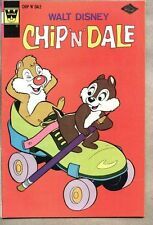 Chip 'n' Dale are printing their own newspaper. -----check out the pic for a great look----------------------------------------------------------------------. From Archie from 1976------------------------------------ --- ----------. Archie / comic story / 5 pages. Script: Frank Doyle Pencils: Harry Lucey Inks: Chic Stone. Binky / story / 8 pages. Characters: Binky Biggs; Buzzy; Sherwood; Mr. Baxter; Peggy Baxter; Mrs. Baxter; Mr. Biggs. Binky / story / 6 pages. Characters: Binky Biggs; Peggy Baxter; Benny; Buzzy; Li'l Allergy; Mr. Biggs. From Gold Key from 1975----Whitman variant----------- ---- --. in which Donald and the nephews engage in a battle to not break their list of promises. We will take great care in processing your order. Jackie stars in a spoof of the Kung Fu TV series;. Richie And Jackie star Richie Rich stars ----- - ----from Harvey from 1974. Jackie stars -- --------------check out the pic for a great look------------------------------------------------. a Bungle Island story. Dennis and friends star in these stories On The Dream Beam. from Fawcett from 1978. -- ---check out the pic for a great look--------------------------------- --------------- - ------ grade fine-. Trying to get everything ready for Easter and keep it all as a surprise for Dennis proves difficult for his parents and things get even more problematic when Henry has to pretend to be the Easter Bunny in "Easter Egg Scramble'. CRAZY #54,42,?. 1970'S "LOVE AT FIRST BITE" MARVEL MAGAZINE B&W 3/BOOKS-READERS. Binky / comic story / 6 pages. Characters: Binky Biggs; Peggy Baxter; Mr. Baxter; Mrs. Baxter. Binky / comic story / 7 pages. Characters: Binky Biggs; Buzzy; Sherwood; Mr. Baxter; Peggy Baxter; Mrs. Baxter; Mr. Biggs. GN/TPB BEAUTY AND THE BEAST 1991 -MOVIE ADAPTATION 'WALT DISNEY'. FN . 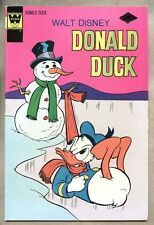 Uncle Scrooge #179 WHITMAN 1980. "Uncle Scrooge!". Beautiful CGC 7.0 (FN/VF) example -White Pages with Excellent Gloss quality! Make Supersized Seem Small. Get Images that. Collectors Comics. From Gold Key from 1970----- ----------- ------------- ------------ --------------------------------------- - - --- ----------------- - - ------. ----------------------------------- --------------- - ------ grade vg-. Book has work by Hank Ketcham, Ed Nofziger ---------------------- ---------------------. Dennis and friends star Hello Dennis. from Fawcett from 1977. check out the pic for a great look--------------------------------- --------------- - ------ grade fine. Mickey and the Sleuth / comic story / 12 pages. Mickey Mouse; The Sleuth; College of Criminal Knowledge (Professor Nefarious; Armadillo; Fliplip; Sidney). Robert Goofy Fulton; Mickey Mouse. - ------------------from Gold Key from 1977. We are not professional graders so we have included a scan on this comic to show the condition it is in. 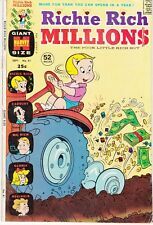 Fine condition, and tap the link: Read More for grading details for this Everything's Archie comic book, Everything's Archie #43 by Archie comics, and tap Read More to knock down the total for this Everything's Archie comic. MICKEY MOUSE -THE INCA IDOL CASE #371 1951 'WALT DISNEY' VG DELL 4-COLOR. We will take great care in processing your order. Carl Barks (Script), Carl Barks (Pencils), Carl Barks (Inks),Characters: Uncle Scrooge; Donald Duck; Huey, Dewey and Louie. Feature Story: Uncle Scrooge. Reprinted: From Uncle Scrooge 19. The Mines of King Solomon. 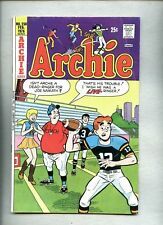 ARCHIE GIANT SERIES MAGAZINE. #203 VG- LITTLE TEAR ON UPPER EDGE. Here's what you'll receive. (all the issues marked VG look great. Smooth covers, Smooth back covers & nice inside pages). This collection is in Very Good Condition. 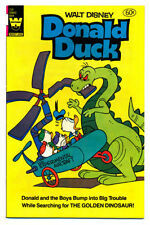 DAFFY DUCK #84 1973 WARNER BROS.
PORKY PIG -TROUBLE IN THE BIG TREES #370 DELL 4-COLOR. Pancakes one pagers and text -- ---check out the pic for a great look---------- ----------------------- --------------- - ------. Jughead #333. World of Jughead Giant Series #542. World of Jughead Giant Series #564. Betty and Veronica #292 basketball cover. Betty and Veronica #299. Betty and Veronica #330. 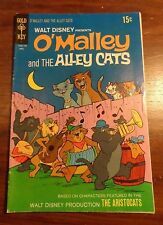 Published by Archie and Harvey.